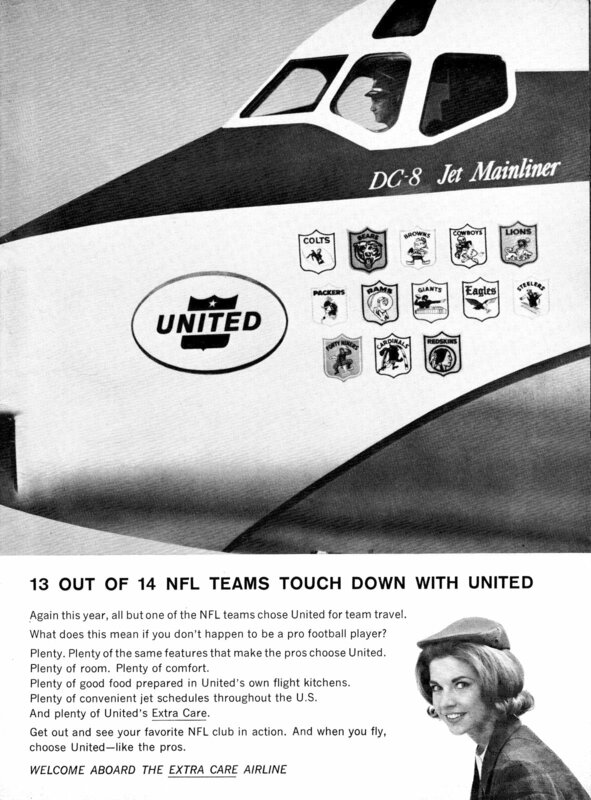 Each season, professional football teams need a way of getting together to play their games, and the airlines play the biggest role in making that happen. 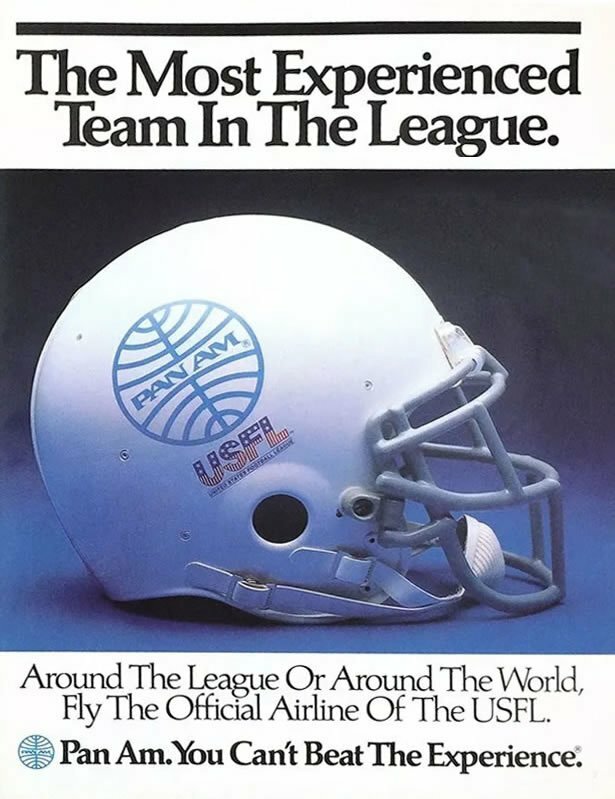 Through the decades the Clubs and Airlines have chartered thousands of flights and flown thousands of passengers to football games across the globe. 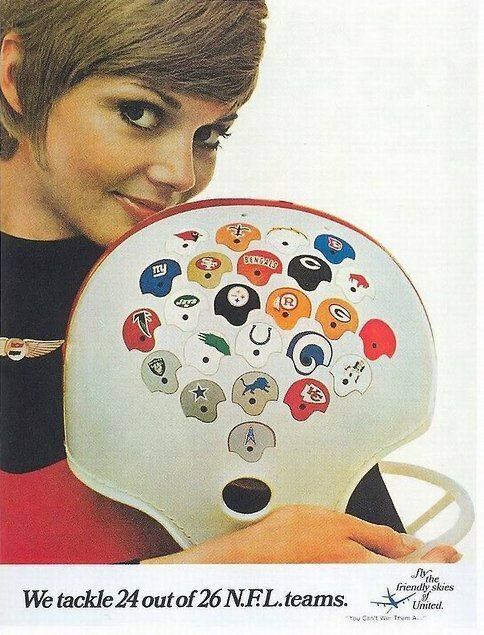 Some airlines created advertising campaigns, and adorned aircraft with insignias amd mascots to highlight one of Americas favorite sports. 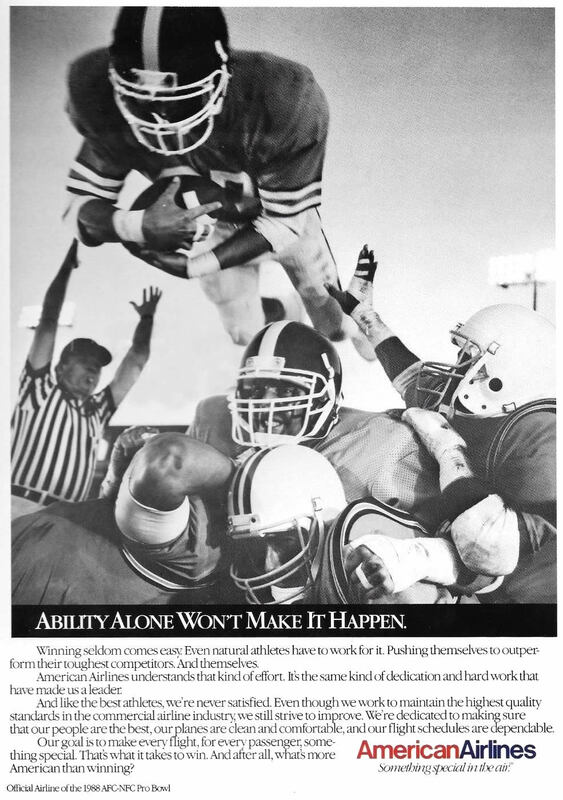 Here is a small collection of these campaigns. 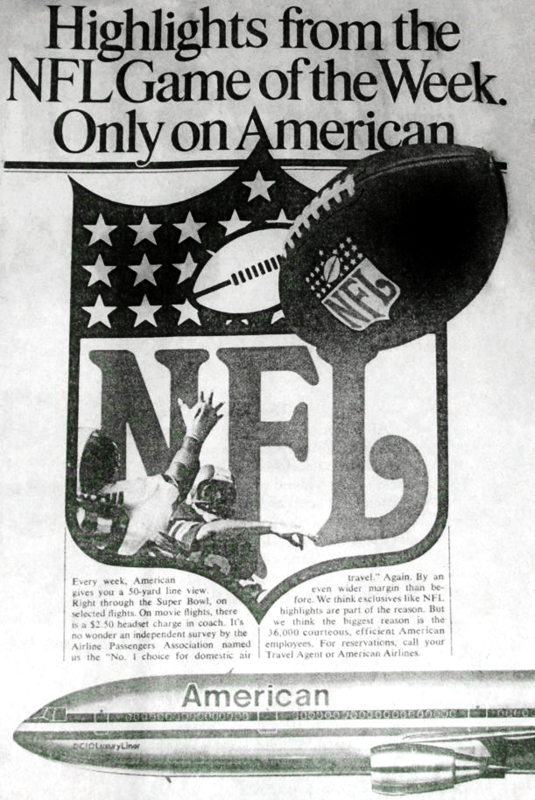 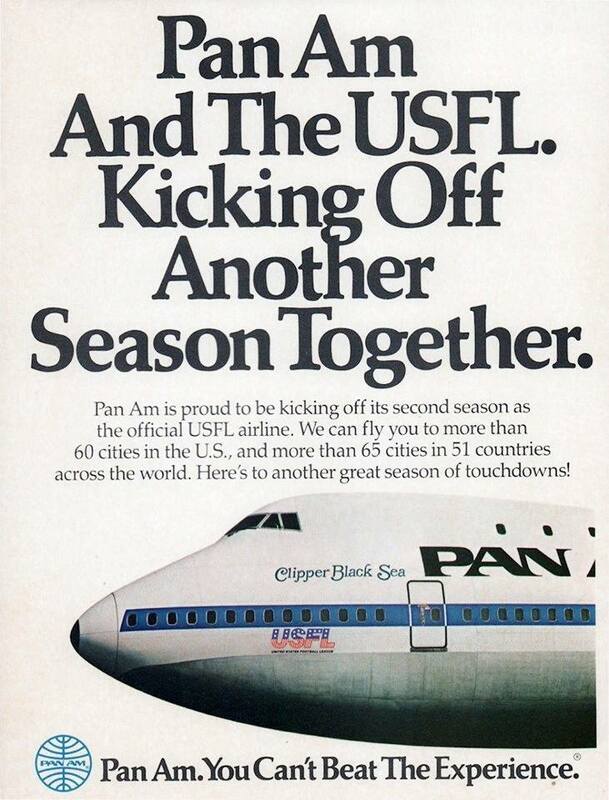 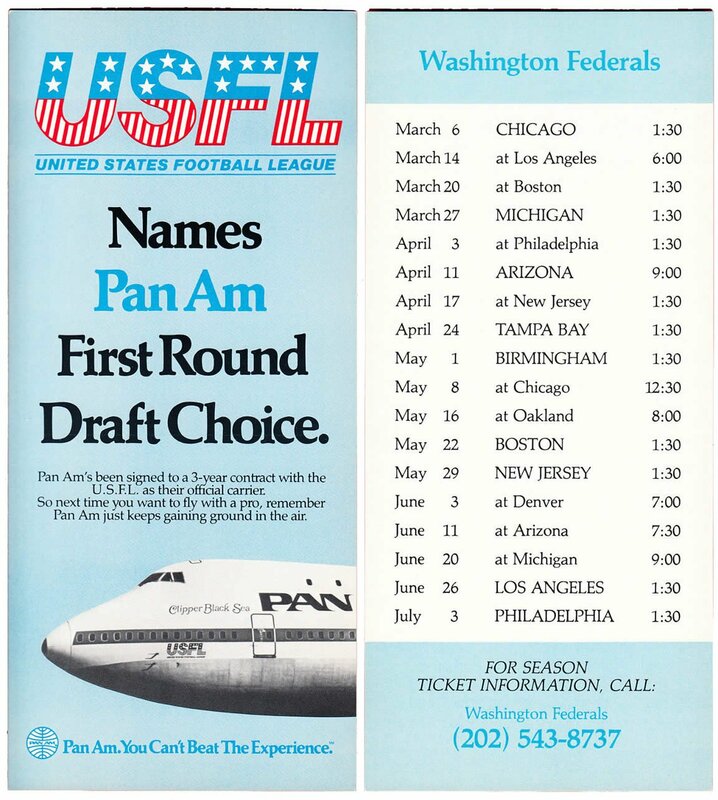 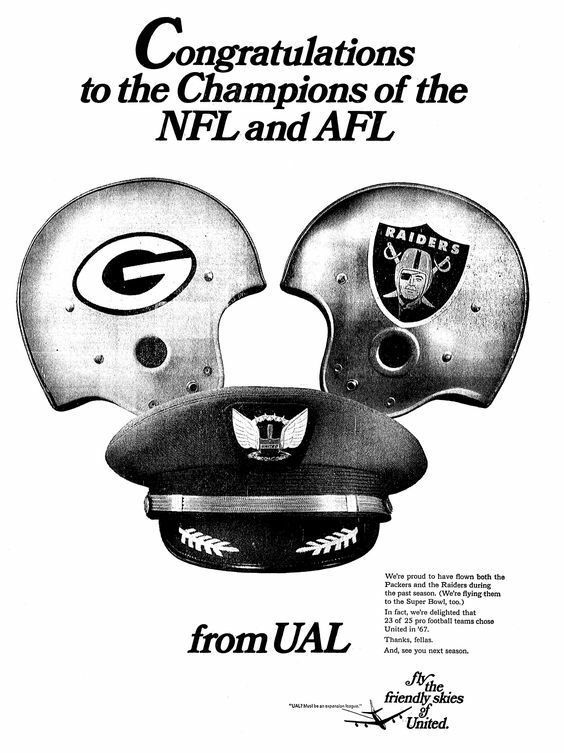 Pan AM was among the largest sponsors of the short-lived USFL Football League in the early 1980s.